I'd been on a roll listening to great books here since the beginning of the year, when I hit a snag and got a book I not only didn't like, but one I thought was idiotic. It happened right after I listened to Brooklyn, which I liked so much I was sorry when it ended. So the stakes were high when I choose The Summer Before the War since I longed for a book that would reel me in, and this one did. The story was lovely, the characters delightful (or not so delightful if they weren't supposed to be), and the narration is excellent. Fiona Hardingham was the perfect choice to read this book. 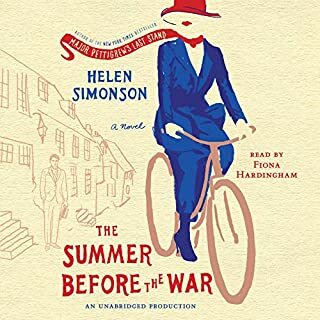 I am now listening to Major Pettigrew's Last Stand since I didn't want to let go of Helen Simonson just yet. 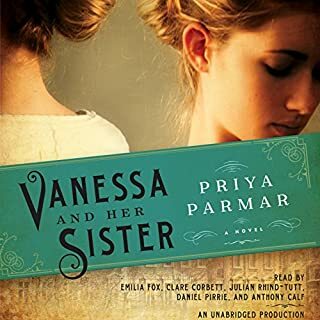 Where does Vanessa and Her Sister rank among all the audiobooks you’ve listened to so far? What other book might you compare Vanessa and Her Sister to and why? I would compare it to Anansi Boys narrated by Lenny Henry because the narration is so good you lose yourself in it. Since this book is written as a diary and letters, it is wonderful to hear because it's like the author of the diary or the letter is speaking out loud what he/she is writing down. If you could rename Vanessa and Her Sister, what would you call it? I would not rename it. The name is perfect, giving Vanessa Bell the headline. Vanessa Bell was already my favorite Bloomsbury; if you have any interest in the Bloomsbury group, you will love this. If you don't know Bloomsbury, this is a splendid introduction. I am now going to go choose a Virginia Woolf novel to listen to. If only there were ten stars to award! What made the experience of listening to Anansi Boys the most enjoyable? 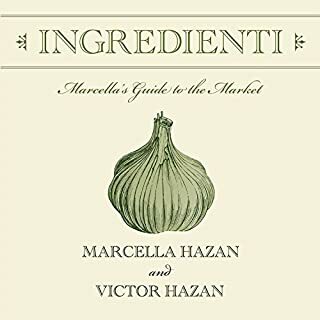 The story was excellent, but what made this audiobook so special was the excellent narrator. If I could award him ten stars, I would. 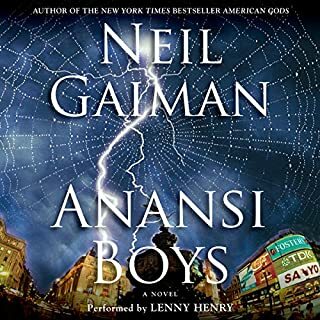 What other book might you compare Anansi Boys to and why? In terms of great narration, I would highly recommend The Cuckoo's Calling, The Book Thief, The Signature of All Things, The Goldfinch, and Neil Gaiman reading his own The Ocean at the End of the Lane. All these books were tremendously enhanced by their readers. Have you listened to any of Lenny Henry’s other performances before? How does this one compare? Have not but definitely would. No. I just loved the cohesive story. You do not have to have "read" American Gods to "read" this book.